We are licensed, insured, and OSHA-trained. 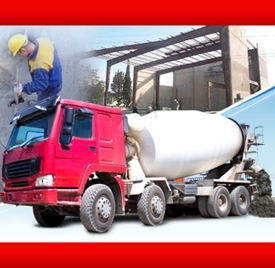 Bammco Concrete Construction can help you with any of your concrete needs. We have over 30 years of experience, and we take pride in offering the client the best solution to meet their expectations. We are dedicated to serving the needs of our customers each and every day. We answer all of our calls promptly and will come out and meet you to discuss your proposed plans, schedule and budget in a timely manner. Bammco Concrete Construction became "The Concrete Specialists" with a reputation we've earned with every yard of concrete we have delivered. The job is never finished until the client is happy! Contact Bammco Concrete Construction for all of your Poured Concrete Foundation Needs! Call us today at (978) 364-0659 for a free estimate!